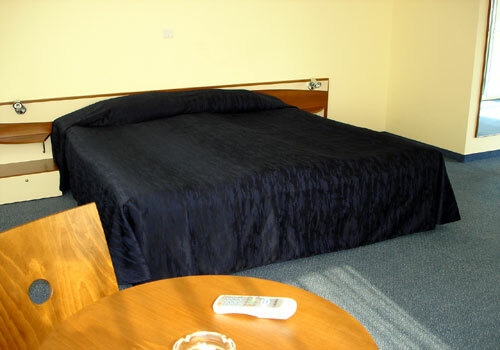 Hotels in Sofia - Lozenetz Hotel in Sofia. 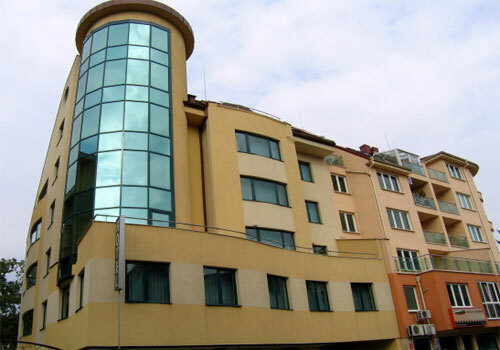 Sofia Hotels - Lozenetz hotel. 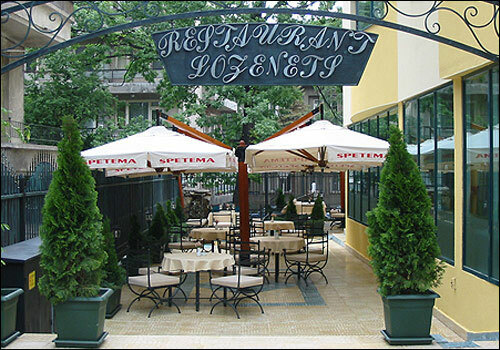 Book Lozenetz in Sofia. 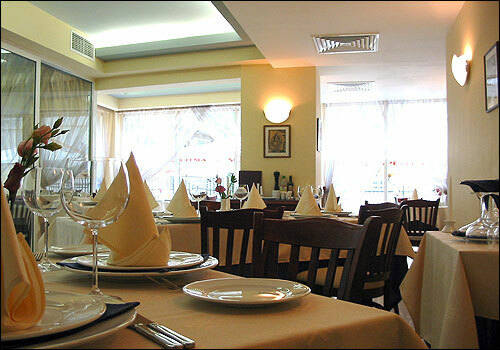 Location: Just steps off few minutes away from the heart of Sofia. You will be within walking distance to the finest shopping, dinner & entertainment that Sofia has to offer. 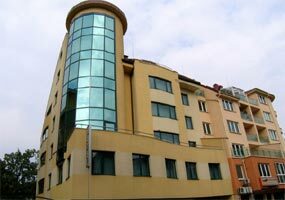 The hotel is located near the National Palace of Culture and Vitosha blvd. 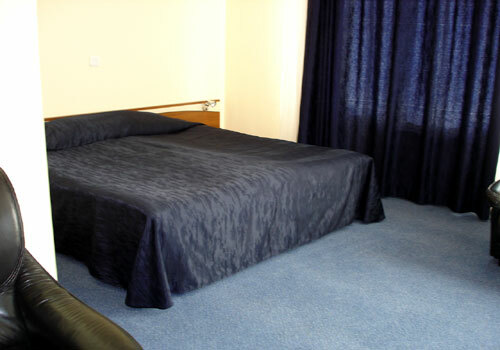 and approximately 20 minutes from Sofia International Airport. 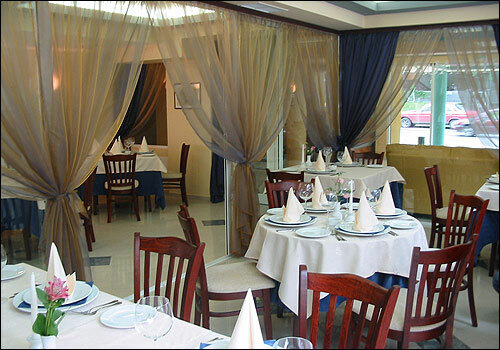 Dining: The restaurant with 40 seats offers you a great variety of European and National cuisine. 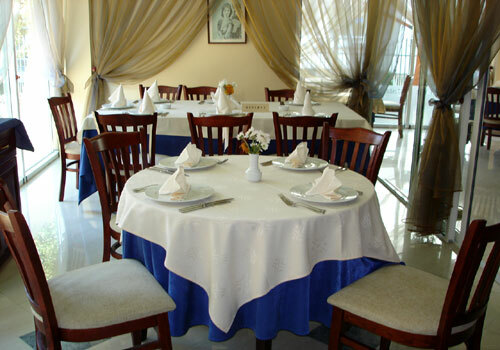 It is the perfect place for your private parties, business lunches and dinners and celebrations with friends. 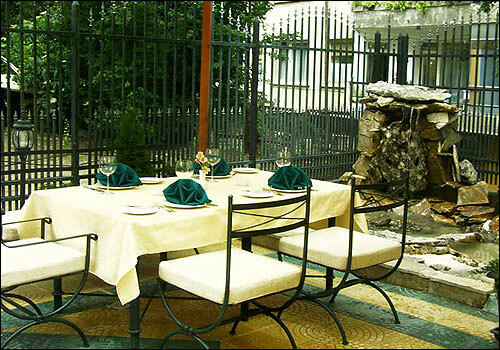 You will find coziness and comfort in the lobby bar and in the outdoor restaurant garden for up to 70 persons. The restaurant offers a non-smokers section. 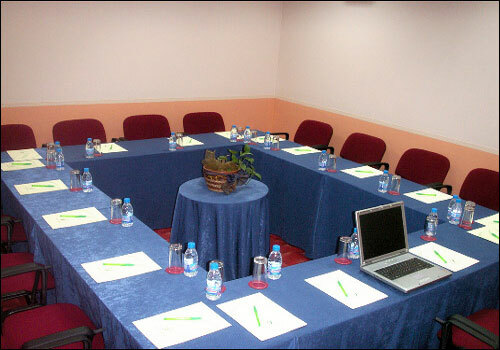 Meeting Facilities: For your business meetings we offer you equiped conference hall for up to 30 persons, if needed movie hall or 20 persons "in square". 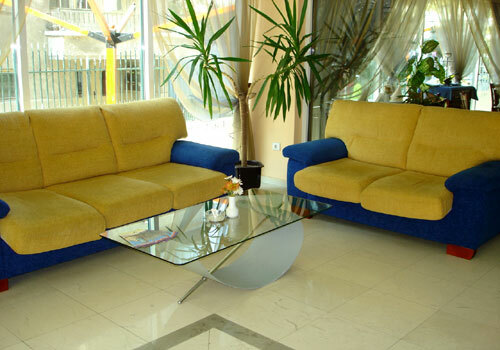 The chairs are equiped with comfortable pads for writing. We provide high speed internet access. 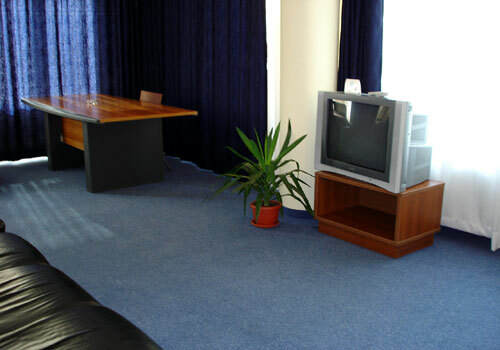 The hall is equipped with flipchart, white magnet board and screen. 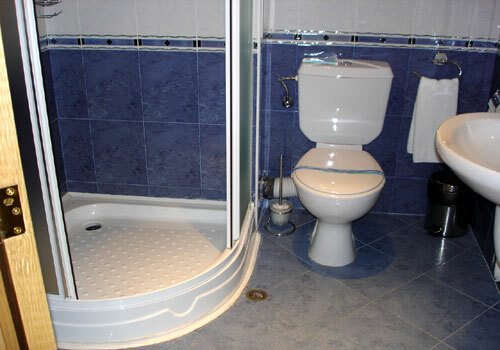 By additional request we also offer multimedia devices. 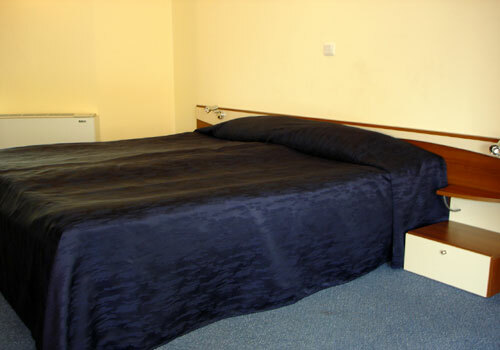 Accommodation: The hotel offers 1 studio, 3 VIP rooms, 6 luxurious and 21 standart smoking and non smoking rooms equipped with king-size bed or twin beds. 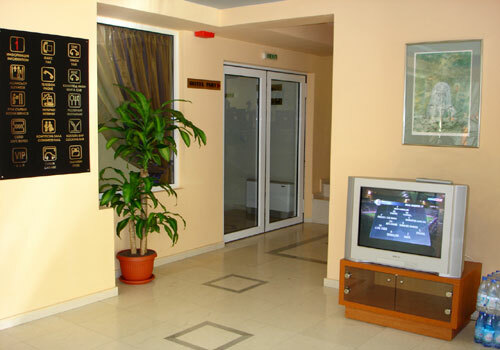 All rooms are air-conditioned with individually controlled temperature, cable TV, full stocked mini-bar, direct telephone ISDN line, Internet access free of charge. 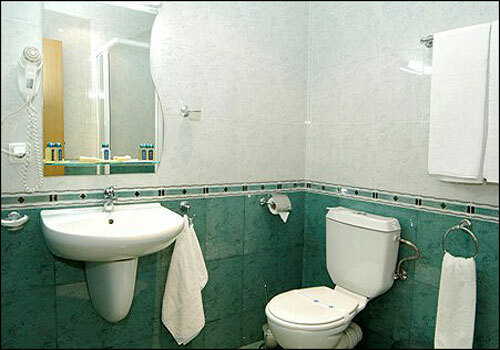 The contemporary furnishings in the rooms create an ambience that pleases all visitors. 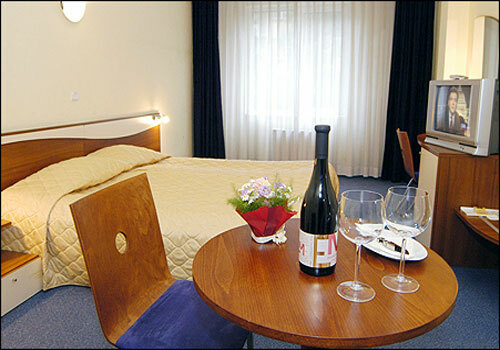 * Please note that all guests of Lozenetz Hotel made reservation through this web site use for free Internet access - LAN & Wi-Fi.